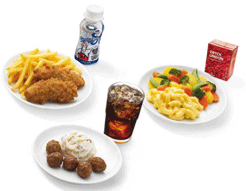 Stop by IKEA after 11 a.m. July 4-7, 2013, and children 12 and under can get one kid’s combo meal for FREE ($2.99 value). Offer valid from 11:00am to restaurant close from Thursday, July 4 – Sunday, July 7, 2013. Limit one meal per child per visit. Child must be present. No adult purchase necessary. Offer not valid at IKEA Home Shopping or IKEA Houston. Kids meal options may differ at IKEA Carson. See participating store for details. Through July 3, 2013, get a free Kid’s Meal at Chili’s with any adult entree purchase. 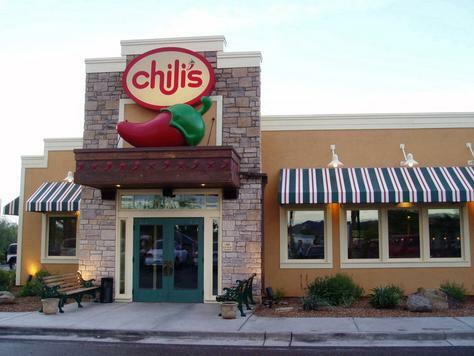 Print a Chili’s coupon good for up to two Free Kid’s Meals with an adult entree purchase. This offer is valid June 17-20, 2013. And don’t forget to sign up for your free Flatbread, too. Did you know that Steak ‘N Shake offers Kids Eat Free on the weekends? I didn’t know that but reader, Crystal, emailed in and told me that’s what her Steak ‘N Shake told her today. And sure enough, I found it advertised on their site! This offer is valid every weekend and is for dine-in only. 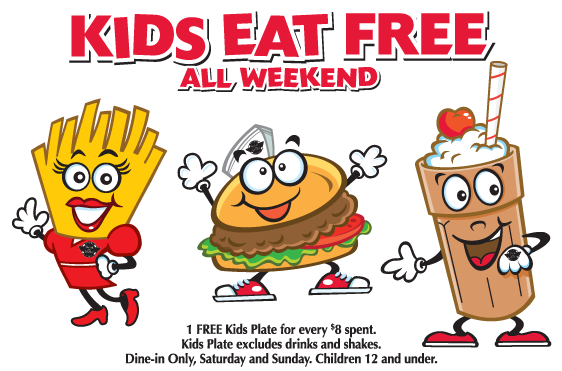 You can get one free Kid’s Plate for every $8 spent. The Kid’s Plate excludes drinks and shakes. Speaking of restaurant deals, have you checked out the HUGE list of birthday freebies I’ve put together? Print a coupon to get a free Kid’s Meal at Olive Garden on April 25, 2013. Limit two free kid’s meals with two adult entree purchases. 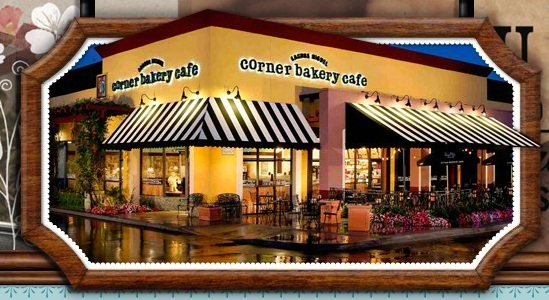 Print a Corner Bakery Cafe coupon good for a free Kid’s Meal with any dinner entree purchase. This coupon is good through April 30, 2013.